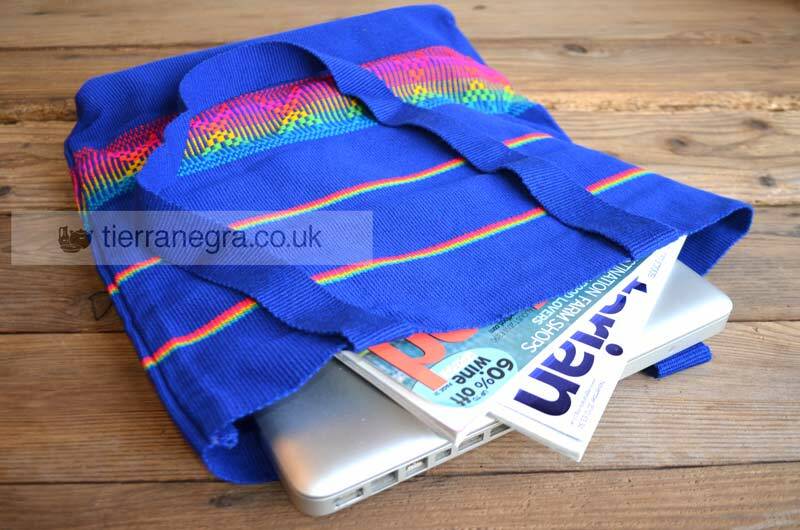 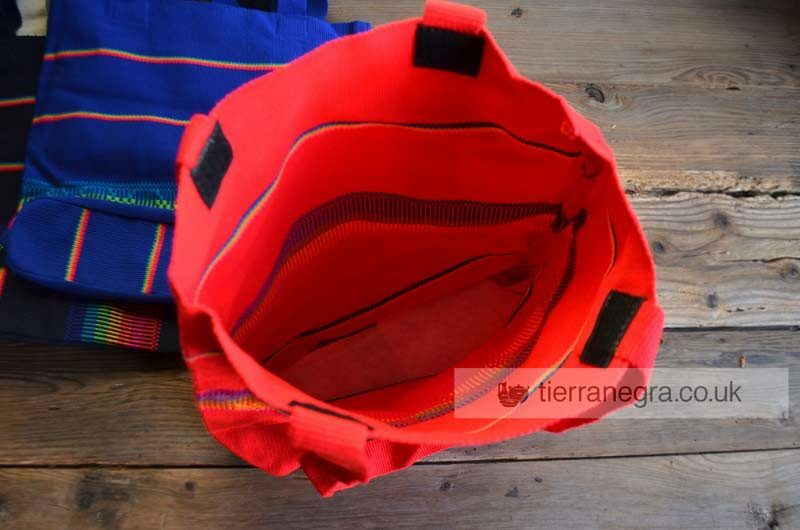 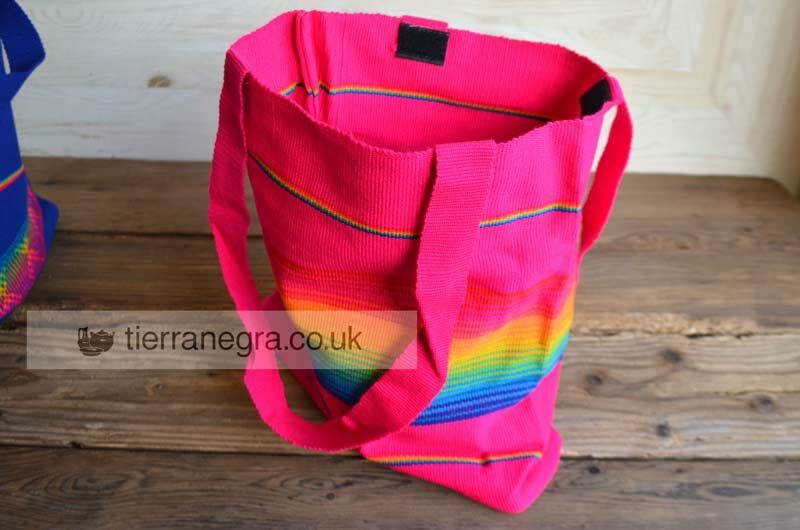 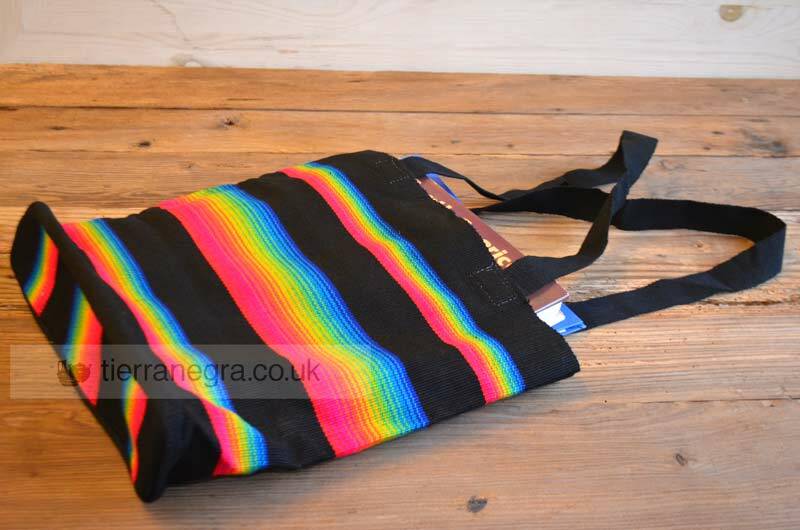 These colourful shoulder bags are inspired by the pouches which Andean messengers used when travelling over the mountains on foot. 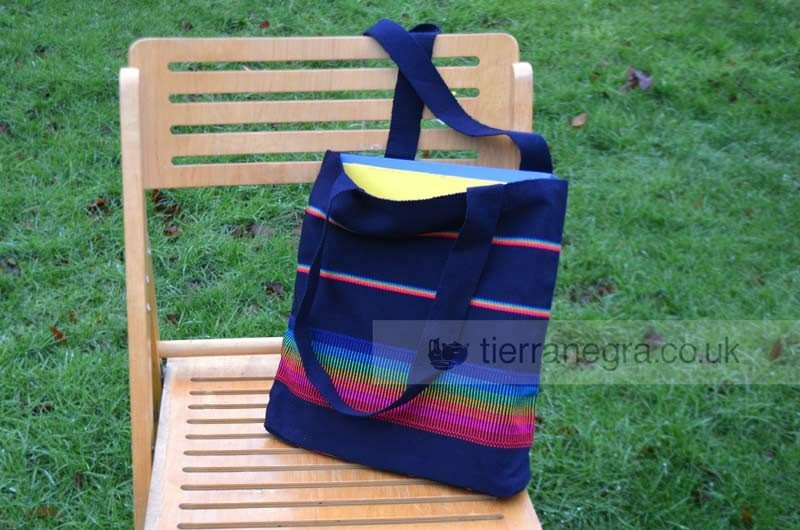 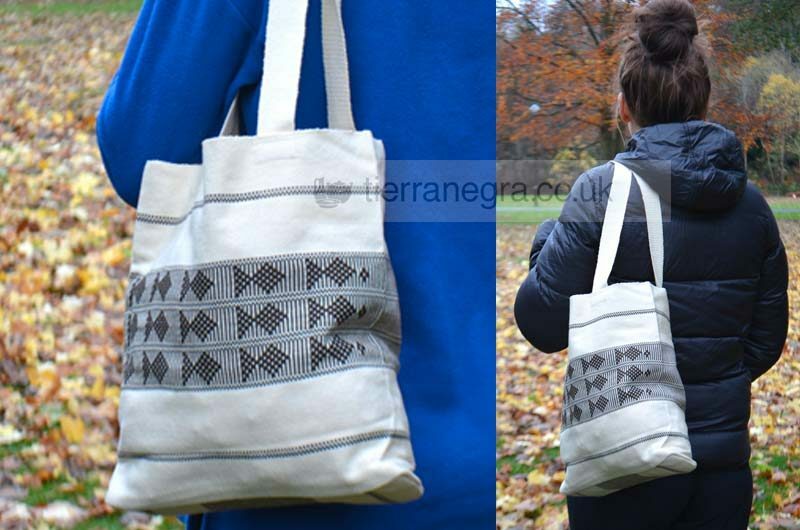 The bags are hand-tailored and the material handwoven on traditional looms, using techniques and designs passed down over the generations. 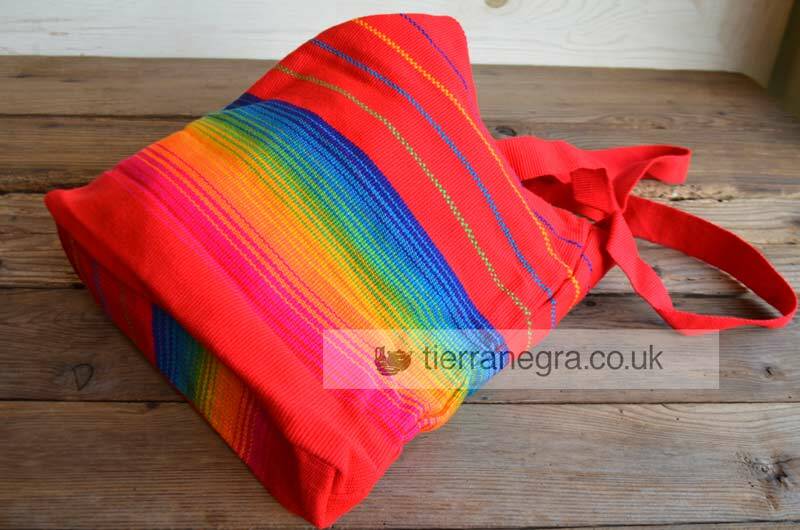 Fast dyes are used to create the bright colours traditionally found on the costumes which are still worn on festive occasions throughout the Andes. 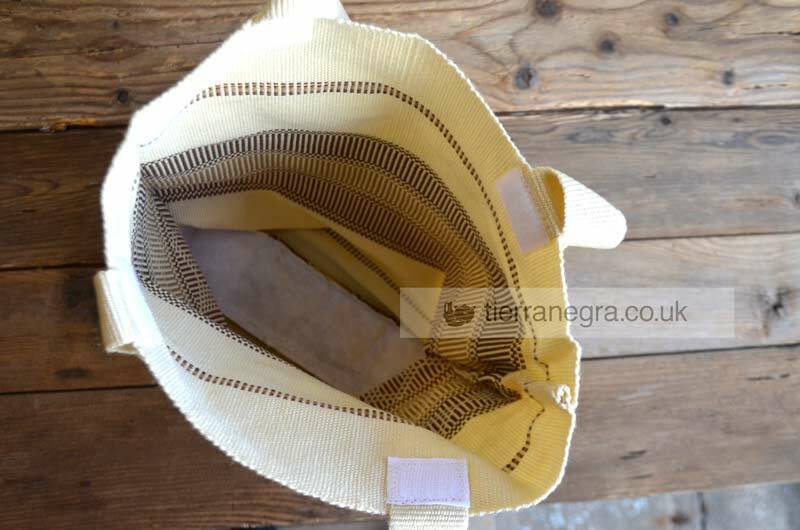 Without lining or inner pockets, this easy-to-wear bag is practical and versatile and also machine washable.